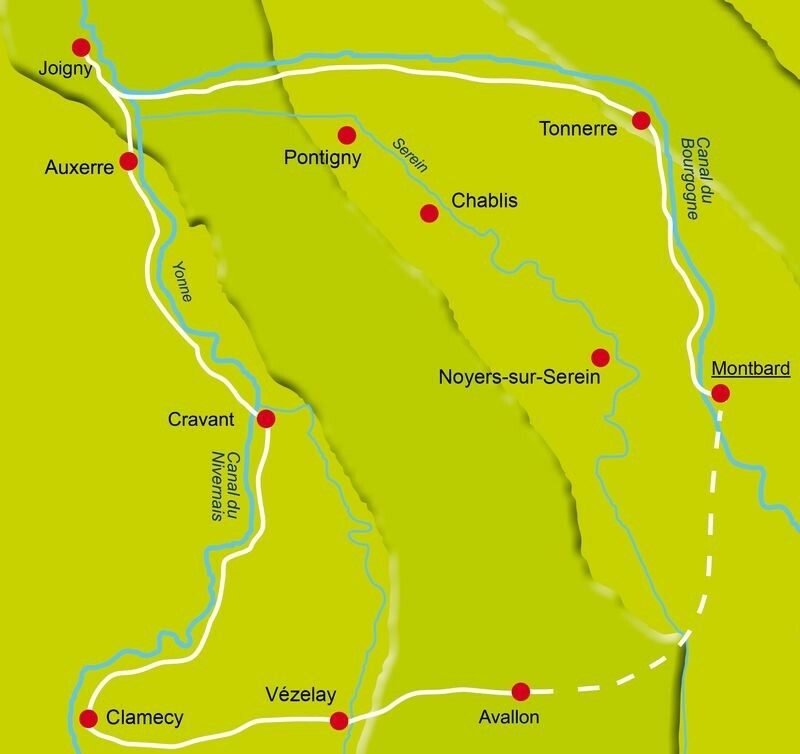 Burgundy is a land of great art and good living, pastoral and peaceful. During the cycling trip you will discover great abbeys, elegant châteaux, medieval half-timbered villages and fortified towns. The vineyards of Chablis and the Auxerrois will accompany you, tastings are planned and the fine food will round off your days. This itinerary reveals northern Burgundy’s main treasures. You will pass two sites of UNESCO world heritages. Meeting in the small town of Montbard along the Canal de Bourgogne. 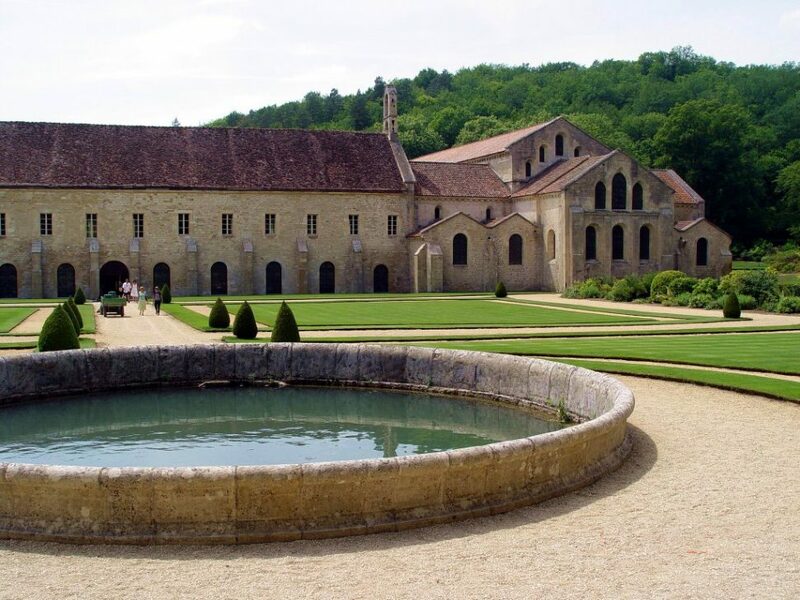 During your cycle trip along the romantic Canal de Bourgogne, you will stop at the Renaissance châteaux in Ancy-le-Franc constructed by the Architect Serlio in the 17th century. Followed by the Renaissance châteaux in Tanlay. Finishing the day in Tonnerre for dinner. Before you leave Tonnerre you will visit the Hotel Dieu, the former hospital from the 13th century. Here the sick and needy could be housed and cared for. 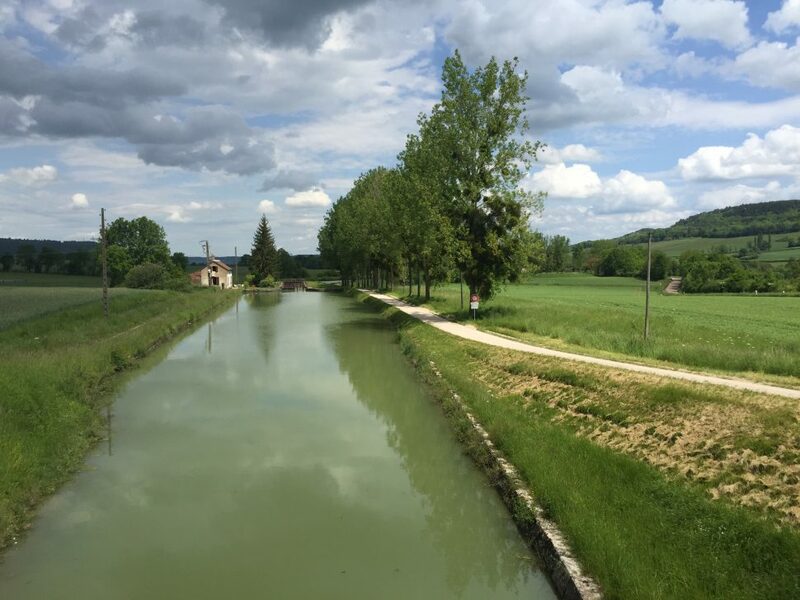 You must also visit the Fosse Dionne before going back to the Canal de Bourgogne to continue with the cycling, which will take you through vineyards and fields. 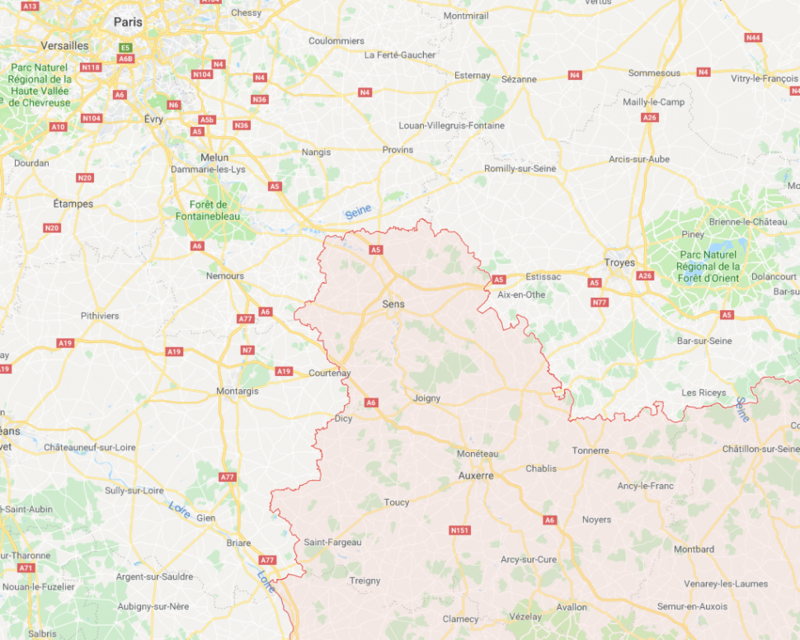 The evening including dinner and the hotel will be in Joigny, a small town that has preserved its numerous half-timbered houses and churches. From Joigny it isn’t too far to the beautiful town of Auxerre. 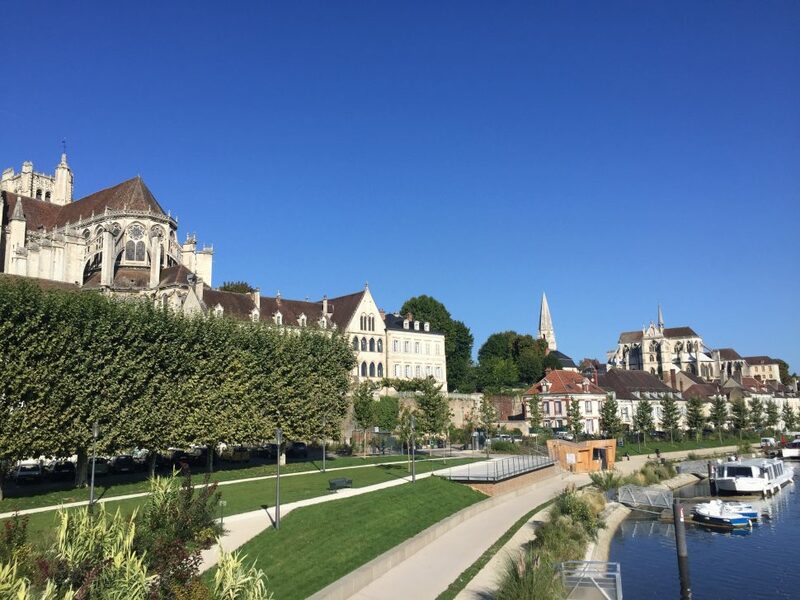 This historical town, stretched along the Yonne River has been classified in its entirety as a protected site, with its numerous half-timbered houses and its picturesque clocktower. You will enjoy an overnight stay in this city. 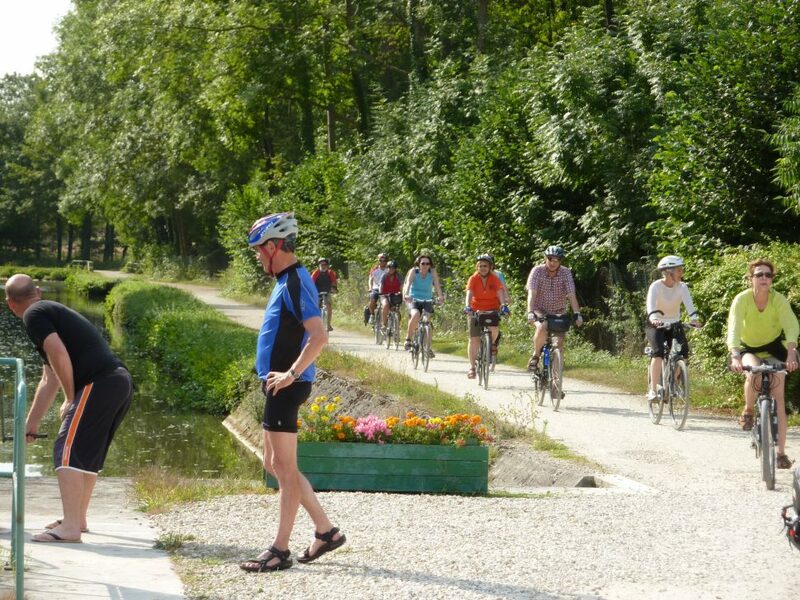 Today you continue your cycling tour along the Canal du Nivernais. One important stop you have to take is at the Caves de Bailly. Here you will taste the famous Crémant de Bourgogne. 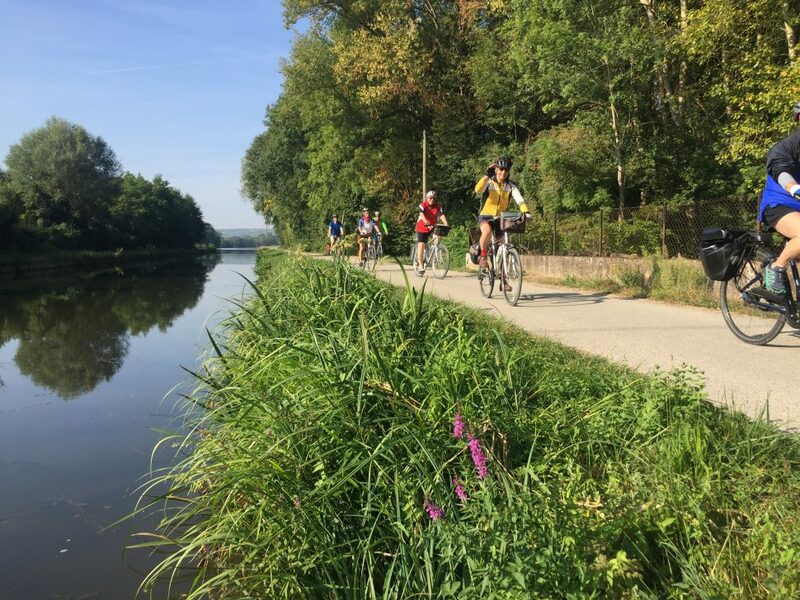 Along the Canal du Nivernais your cycling trip passes through exceptional landscapes along the “route des flotteurs de bois“ which was very important in the middle ages, as the Morvan Forest produced the wood for Paris, which was transported there by floating it along the river and canal. 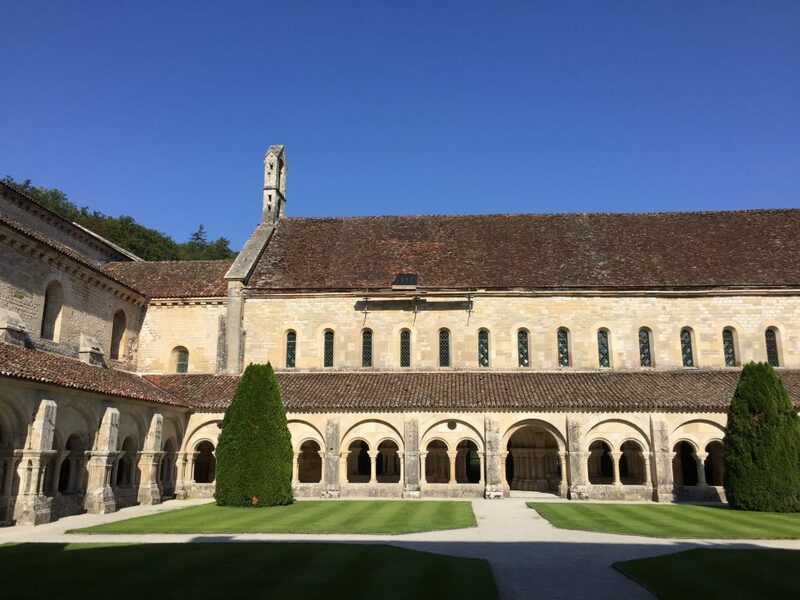 You will be leaving the waterside today, through some of Burgundy’s finest landscapes, culminating in a stop in Vézelay and its Sainte-Madeleine Basilica, a Romanesque art masterpiece listed as UNESCO world heritage. During the middle Ages, Vézelay was a major pilgrimage site and a special halt on the way to Compostella. Its Basilica dominates the small mediaeval town and its fortifications. 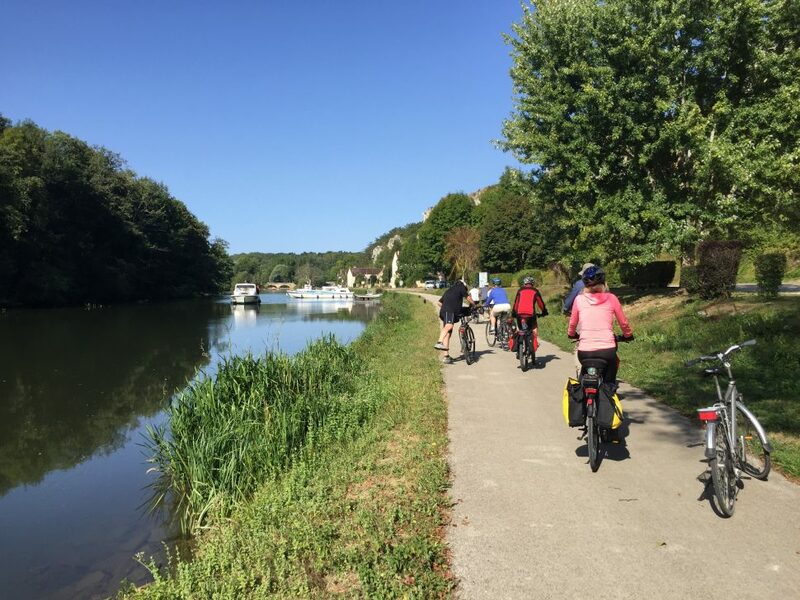 You will cycle through the beautiful valley the cousin to Avallon. It is time to say Au Revoir! Your bike tour is finished. You will be picked up at the hotel and brought back to your car in Montbard or to the train station. Flat, except for the last day, day 6 slightly hilly, cycling paths along the canal aren’t asphalted halfway through.